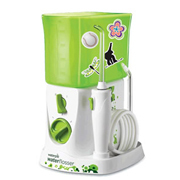 The Waterpik® Water Flosser For Kids features an extra safe, kid-proof electrical design, easy fingertip controls on the On/Off switch and the Pressure Control System, and a reservoir that can be used as a cover to keep the unit clean. 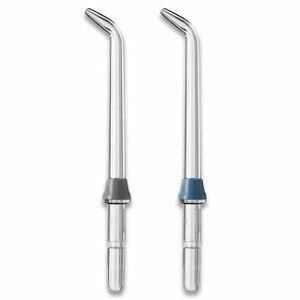 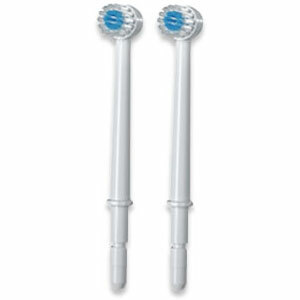 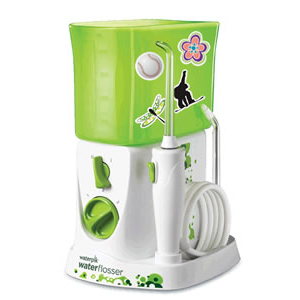 The Water Flosser For Kids includes one Orthodontic Tip for braces and one Classic Jet Tip for general cleaning and each unit has a two-year warranty. 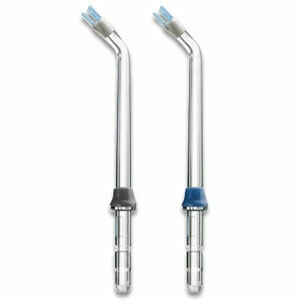 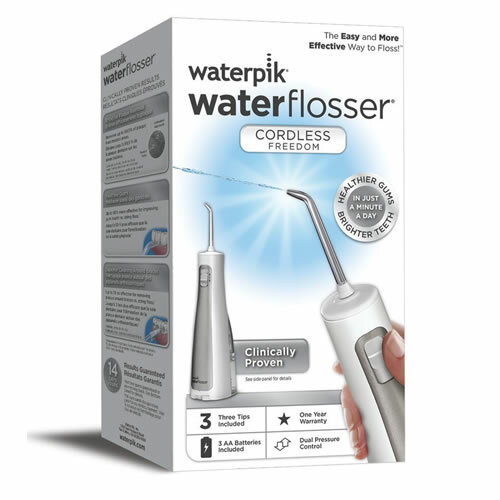 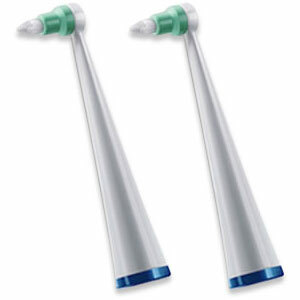 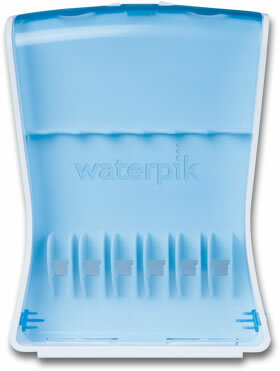 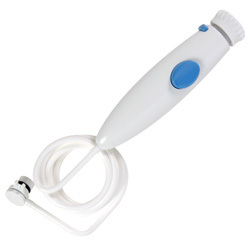 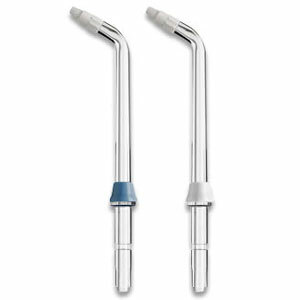 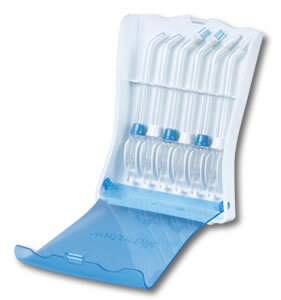 For our premium adult countertop model, see the Waterpik® Ultra Water Flosser WP-100. 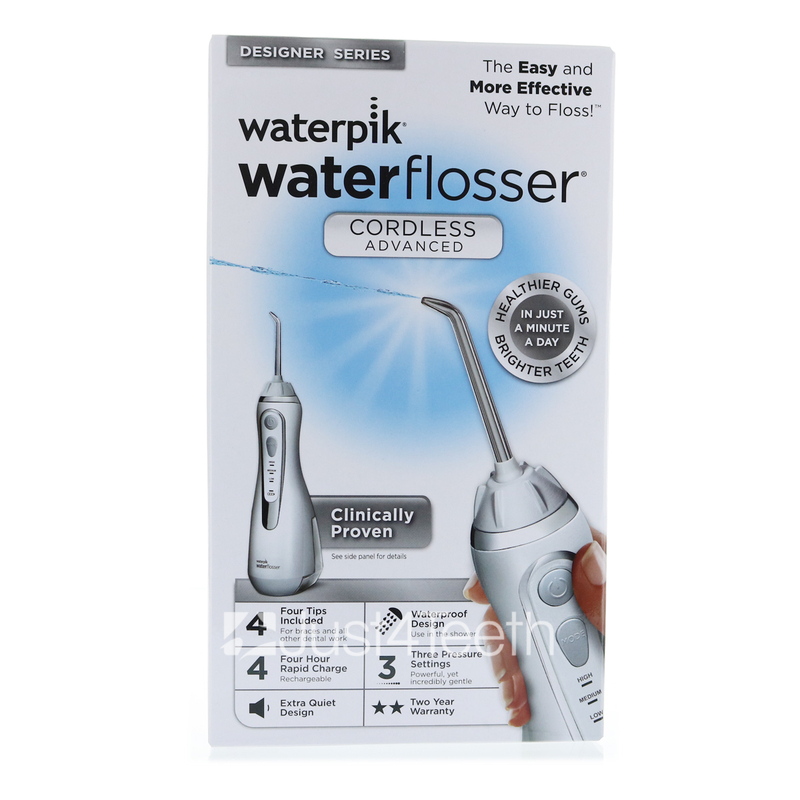 Clinically proven to be twice as effective as traditional string floss for improving gum health.